He's been across the ocean (twice). He's completed a World Championship. He's done over 3000 AERC miles. Some wins. Best Conditions. Tevis. The historic Outlaw Trail. He's a big brute. Maybe intimidating to some. But he's a gentle soul. He's a Healing soul. He taught Bruce's young daughter Belle to ride, and not be afraid of a horse. He took Pati on her second ride, ever. He was the Healer for Joni - he was the first horse she got on after her own horse almost killed her with a kick to the stomach. 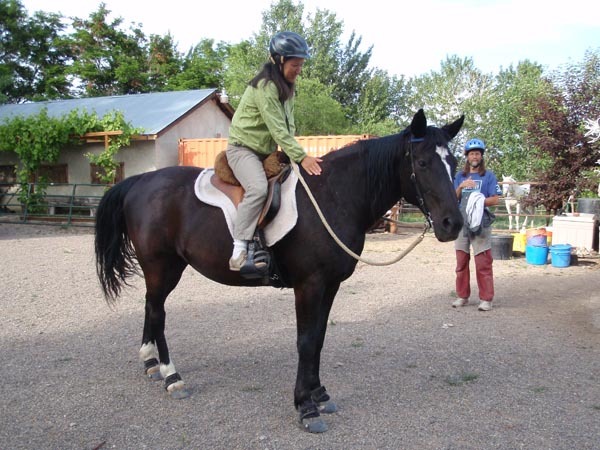 He's the Healer for Linda - Linda who's been almost desperate to ride, but always ended up with horses that were too scary - he's the first horse she's been comfortable and at ease on in a long time. 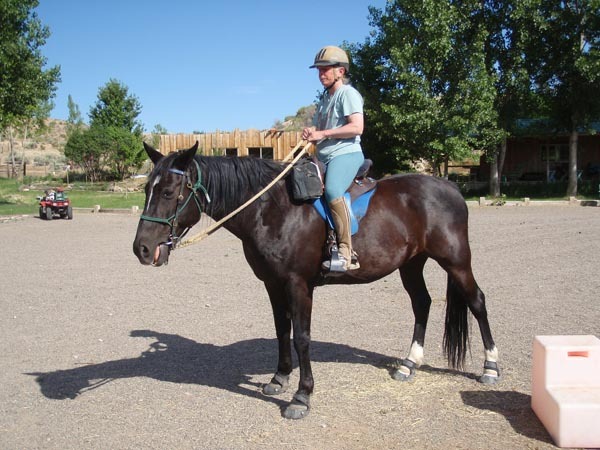 Linda said after riding him the first time, "It's a miracle!" 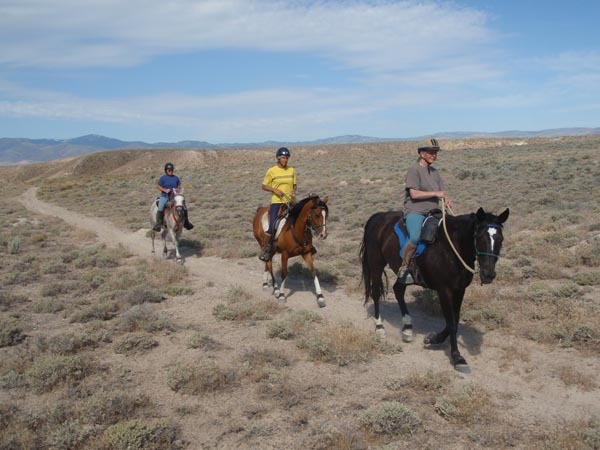 He helps the horses too - Tex is just learning to negotiate the trails in the big outdoors. Krusty teaches the kid that there's nothing to it out here. 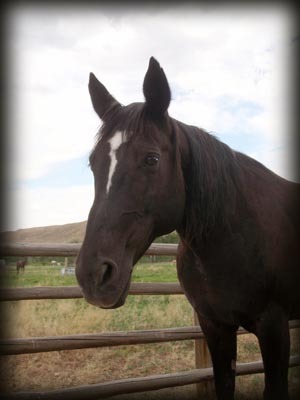 He's 20, retired now from competition, but he continues to enchant and soothe the souls - human and horse - that come to Owyhee.